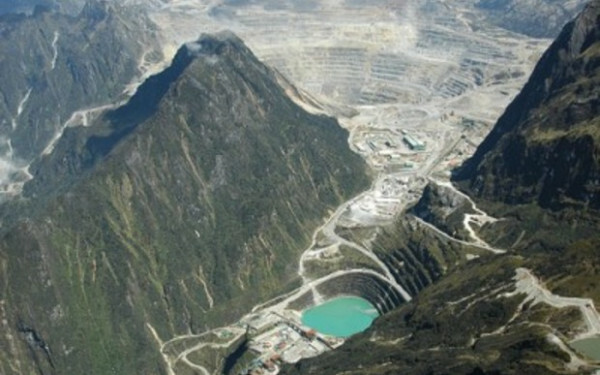 The Indonesian unit of Freeport-McMoRan has temporarily shut the main supply route to its Papua mine after a shooting incident, a spokesman says, amid escalating tensions between security forces and an armed Papuan group in the area. No one had been reported hurt after shots were fired at a vehicle, but the main supply route to the world’s second-biggest copper mine had been temporarily closed while the security situation was assessed, Freeport Indonesia spokesman Riza Pratama said in text message. Authorities in Indonesia’s eastern province of Papua are delivering food and aid to villages near the mine where security forces say the rebel group has blocked residents’ movement, as security personnel surround the area, a police official said. Police said a group linked to the Free Papua Movement (OPM) was preventing about 1000 people from leaving five villages near the Grasberg mine operated by the US company. “We continue to try a persuasive approach and dialogue,” said Viktor Mackbon, police chief of the Mimika area, where the villages are located. Talks with the group would be conducted through public and religious figures in the region, he added. Officials on Saturday said about 200 police and military personnel had been deployed in preparation to secure the area by force, if necessary. Police said they will distribute, on Monday, a notice in the area for the “armed criminal group” to give themselves up and surrender weapons. Reuters could not immediately reach members of the rebel group, the West Papua National Liberation Army (TPN-OPM), to seek comment. On Friday, the group denied occupying villages near the mine, but said it was “at war” with the police, military, and Freeport. A resident from one of the villages, Banti, said security forces had blocked access to the village. Residents he had spoken were not being held hostage by separatists but “are only worried about what might happen if the police and military come into their area”, he said. A state of emergency has been declared in the area and security stepped up after a string of shootings since August 17 that killed one police officer and wounded six. Papua has had a long-running, and sometimes violent, separatist movement since it was incorporated into Indonesia after a widely criticised UN-backed referendum in 1969.